The XF 8.0 – 12.0t Diesel counterbalance forklift truck uses the latest technologies to provide superb performance. 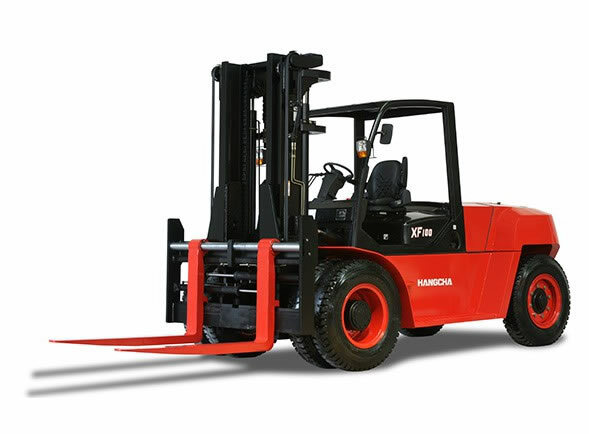 The high strength chassis, mast and front/rear axle makes the 8-12t one of the strongest forklift in the XF Series. A combination of powerful and clean engines helps to reduce the output of undesirable substances over the lifetime of the truck. All diesel engines comply with the current EU tier 3B emission regulations whilst creating a cleaner working environment. Comfort and ease of operation were at the forefront when developing the XF series. An improved shock absorber, compound engine damper and full floating power train are included for a more comfortable driving experience.